Although many business owners realize the importance of using content marketing as part of their marketing platform, they don’t always know how to go about doing it. Some entrepreneurs do not have a skill for writing in the first place; others may be able to write but not effectively enough for content marketing. 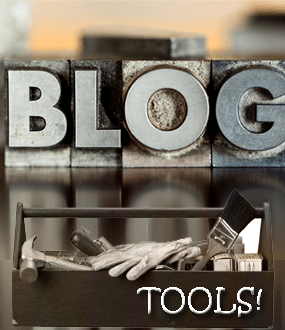 For that reason, it is a good idea to be aware of some of the blogging tools available that can help make your blog writing that much easier a task. The great news is you can also find something to fit your budget whether you are looking for free or have $1,000 a month to spend. If you are looking for a tool to use that is as smart as you, if not smarter, you may find Confluence the perfect fit. Some of the best features for this include Autocomplete and shortcuts for all the needed tasks. If you are looking for something to do all the work for you when it comes to including links or media, Confluence is your new best friend. Use it to share files and content easily, too. There are no computer platform requirements, and the costs range a bit depending on the number of users. It starts from $50 a month all the way up to $1,000. Help your blogs work harder and better for you with Elicit. If you want something that helps include Web and RSS compatibilities from Google, MSN News, Flickr or Amazon, just to name a few, you will be pleased with the results from this approach. Simple to use as one single desktop app and at an affordable price of around $30, this is compatible with Windows 2000 and XP. What makes this tool useful is the ability to write as well as manage content for the blogs you have on your website or other places online. Those who need a device to help with things as basic as spell checks will really appreciate how helpful this can be. Even the more beginner level blog writer will be able to use this to create links and attachments and make managing your blog a much simpler task overall. You can use Ecto with MacOSX and Windows and should be able to obtain a copy for $20 or less. This is a popular approach for creating and publishing blogs. What makes this approach more unique and more popular is that it does not need to use a third party for hosting. If you have FTP, SFTP or network access to a server, you can use Thingamablog to get your blogging jobs done. The list of capabilities is lengthy but includes details such as publishing your blog with one click, saving entries to drafts, managing numerous blogs and publishing your blog remotely with the use of email. Thingamablog is available for Windows and Linux, and the even better news is that it can be obtained for no cost.